Discussion in 'Console & PC Gaming' started by GTPNewsWire, Dec 3, 2018. This article was published by Kyle Patrick (@SlipZtrEm) on December 3rd, 2018 in the Esports category. IngRobNy, JoueurGT and KayX23 like this. 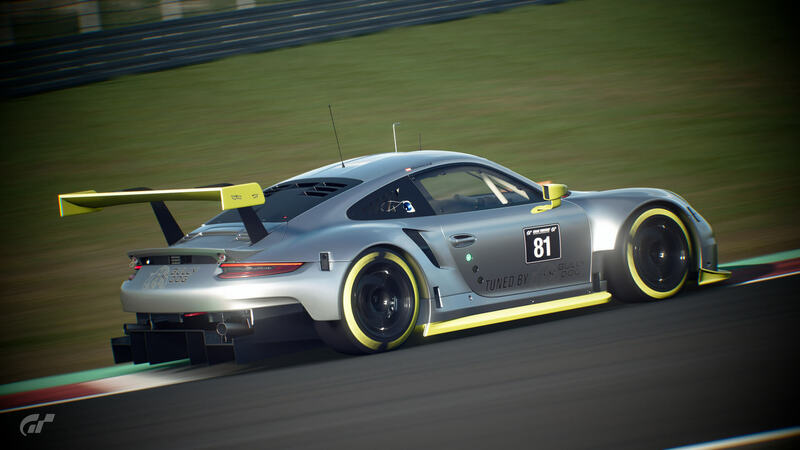 "The Porsche E-Racing Japan series will seemingly use the 911 RSR that already exists in GT Sport. There’s no mention of any other cars, current or future." XJ40 and Brzlav like this. So PD, this is the moment where you should think about offering different "Cups / Leagues" at the exact same screen where we choose the competition to participate. or let users create there own "Championships", with multiple tracks on different days. For Example "Daily Races / FIA Season X / Porsche Cup / Street Tune-Cup" etc. BallPtPenTheif, TypeOne, matzel and 1 other person like this. "You" would thought this will be the perfect moment for a new porsche in the game but Noooooooooo. letsdothis97 and TypeOne like this. The livery in the thumbnail is the paint that 99% of rammers use online. This made me laugh so much; whichever is right! Being Japanese I didn't bat an eyelid at Spring Challenge when I read the original article! Will this be available for players in the uk?